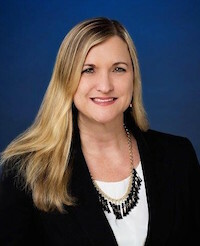 Jodi Wirth’s practice is focused on Corporate and Securities Law, with extensive experience in corporate formation across the United States; mergers and acquisitions, joint ventures and asset purchase agreements with contract negotiations, review, and drafting; compliance with corporate governance; private and public securities offerings, and public company reporting with the Securities and Exchange Commission. Other areas of expertise include Health Care Law, with an emphasis on transactional and physician compensation arrangements and other professional services agreements and directorships in compliance with state and federal regulations such as California’s Corporate Practice of Medicine, Stark Law, Anti-Kickback Statute, False Claims Act, Health Insurance Portability and Accountability Act, and Health Information Technology for Economic and Clinical Health Act. Prior to joining FitzGerald Yap Kreditor, Ms. Wirth worked for 7 years in the health care industry as part of the legal department for a well-known health care system in Orange County.